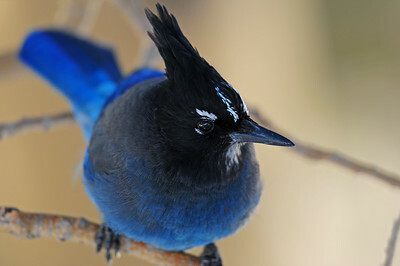 A Steller's Jay in the Sandia Mountains of New Mexico. 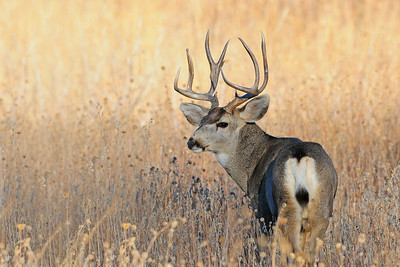 A buck mule deer in the scrub brush of New Mexico. 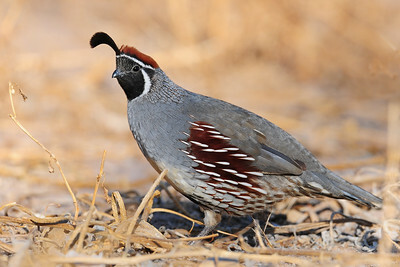 A male Gambel's quail, Bosque del Apache NWR, New Mexico. 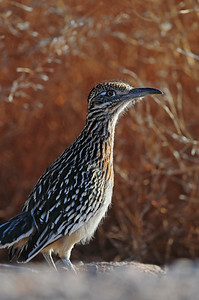 A greater roadrunner in Bosque del Apache NWR, New Mexico. 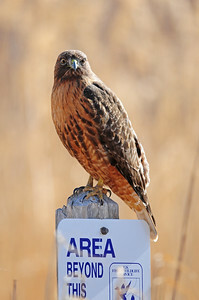 A red-tailed hawk perched on a wildlife refuge sign in the Bosque del Apache NWR, New Mexico. 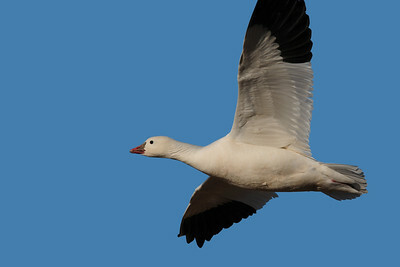 A Ross's goose in flight over the Bosque del Apache NWR, New Mexico. 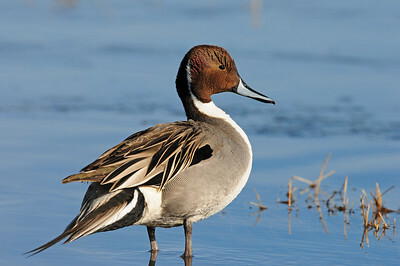 A drake northern pintail standing on the ice, New Mexico. 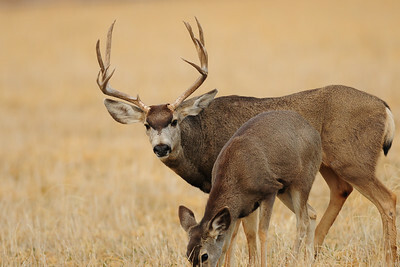 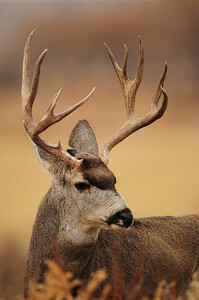 A New Mexico mule deer buck. 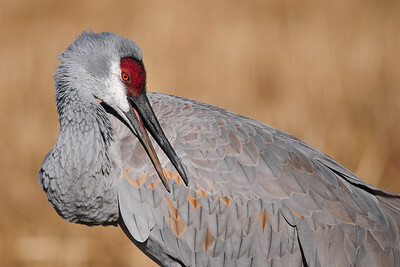 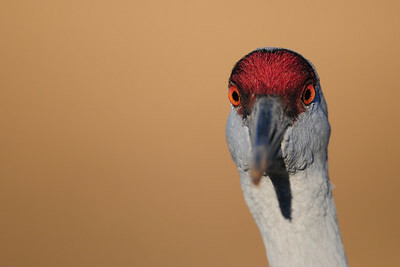 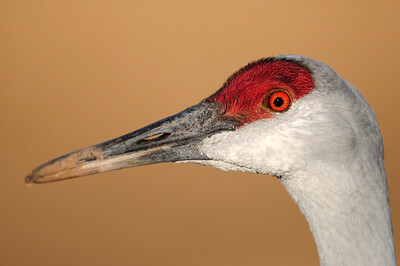 A greater sandhill crane in a farm field near Albuquerque, New Mexico. 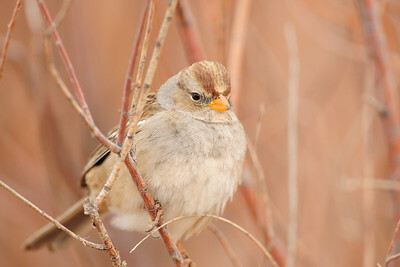 A juvenile white-crowned sparrow along a marsh, New Mexico. 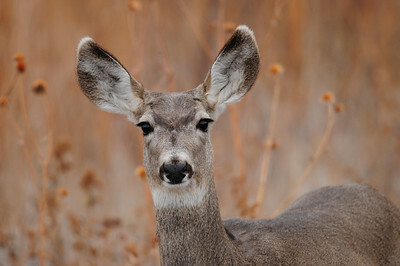 A doe mule deer in the Bosque del Apache NWR, New Mexico. 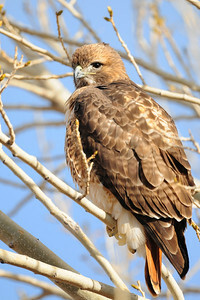 A red-tailed hunting among the trees, New Mexico. 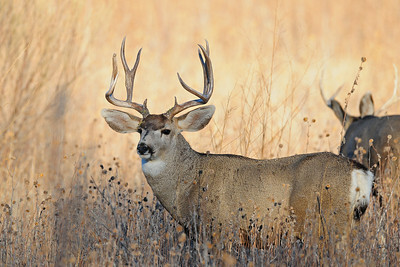 A New Mexico bruiser mule deer buck. 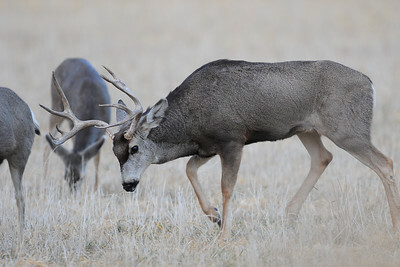 A big New Mexico mule deer buck near the Bosque del Apache NWR. 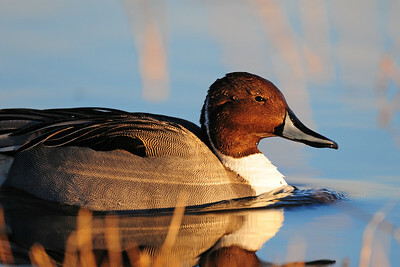 A drake northern pintail on a pond of the Bosque del Apache NWR, New Mexico.